ATLANTA, Ga. - There are corners in kitchens across the globe waiting to be discovered. Because while many kitchens are designed to incorporate corners, the existing space is frequently not correctly exploited, neglected or even forgotten – in many designs, the corners do not play a key role. Vauth-Sagel thinks differently, Vauth-Sagel rethinks the corner: with the CORNERSTONE corner cabinet solution, the owner-run family company opens up a completely new perspective and places the corner centre-stage – storage space is efficiently used and the entire contents comfortably and clearly extended from the cabinet. Corners make a difference: there are some that have decided on the outcome of Football World Cups. The striking Flatiron Building in New York is one of the most famous corner buildings in the world. And then there are those corners just waiting to be discovered. In kitchens, for example. Most kitchens run across at least one corner, with two runs meeting each other. 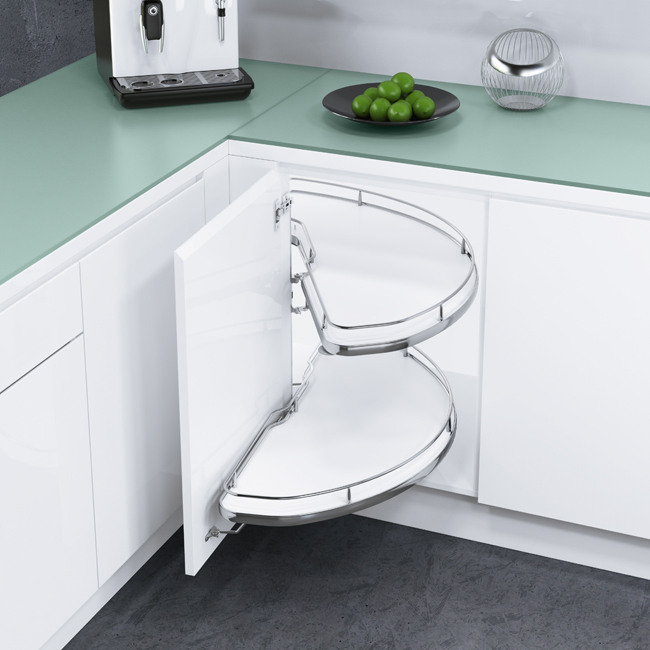 Underneath is an attractive space of around 60 by 60 centimetres, which is frequently left unused – or used with less comfortable, simple shelf solutions offering users only insufficient access to stored items. For this reason, the corner cabinet of-fers huge potential for effectively exploiting storage space, par-ticularly in smaller spaces. With the CORNERSTONE, Vauth-Sagel has now taken this space from out of the shadows. 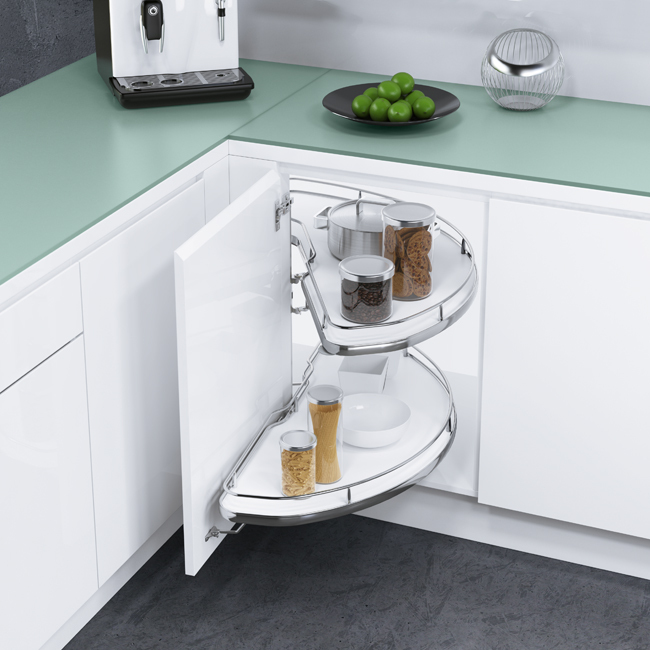 The innovative solutions allow the corner cabinet to glide out of corners ‒ moving previously difficult-to-reach items into the view of the beholder in the process. A simple and equally brilliantly-conceived system solution makes it possible. 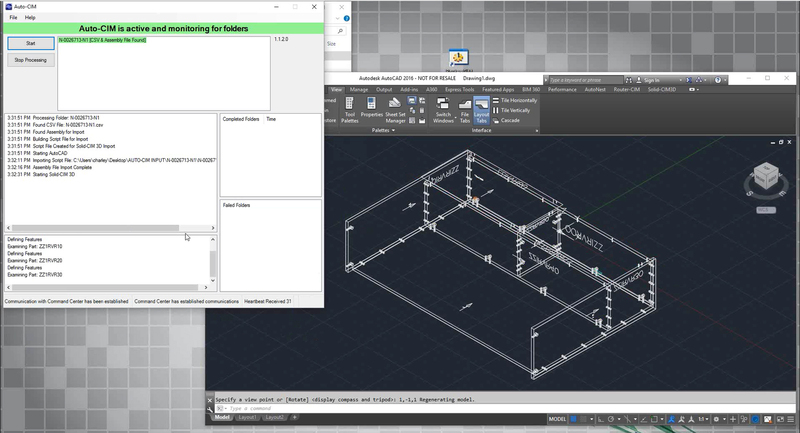 CORNERSTONE is a swivelling system component for corner cabinets that automatically extends the entire contents out of the cabinet upon opening the door. Here, the travel path is controlled and is confined to the area of the corner cabinet carcass. This offers the advantage that utilising neighbouring cabinets or the dishwasher, for example, is not impeded. The opening angle of just 85 degrees has been optimized in a way that the corner cabinet does not impact with other front panels, handles or walls. With a flick of the wrist, the user can access small items just as easily as larger kitchen utensils. And closing the cabinets is also possible with a small movement of the door ‒ with the shelf elements retreat virtually silently back into the corner cabinet. 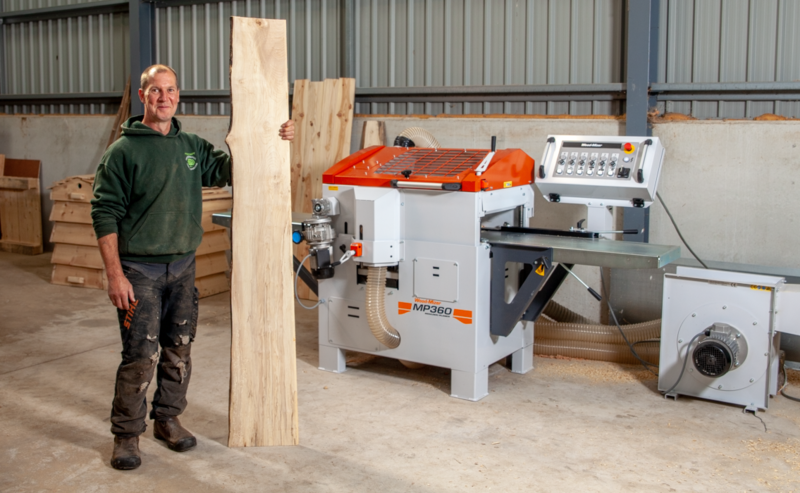 The CORNERSTONE is an all-rounder, which – among other things – can be equipped with large shelves of up to 28.5 cubic centimetres in surface area. Only the mechanism is small here and is virtually invisibly concealed underneath and to the side of the shelf. Upon opening, the lower shelf automatically extends outside the carcass with the door thanks to the actuator. Closing is also carried out with a single hand movement: here, the bumper wheel also retracts the upper shelf virtually silently back into the carcass. The CORNERSTONE is available for 800-, 900- and 1,000-millimetre carcass widths and hence covers 400-, 450-, 500- and 600-millimetre door widths. The installation depth is 485 millimetres and the installation height is at least 520 millimetres. The maximum load per CORNERSTONE-System is 40 kilogrammes, 20 kilogrammes on each shelf. Talking of shelves: these are available for the American market in the design vari-ants rail chrome with white shelf and rail silver with maple décor shelf. In contrast, installing it into the carcass is simple. This is child’s play and requires just three steps. Thanks to Vauth-Sagel EasyFit, the shelf elements can even be fitted to the central column and the shelves height-adjusted without tools. 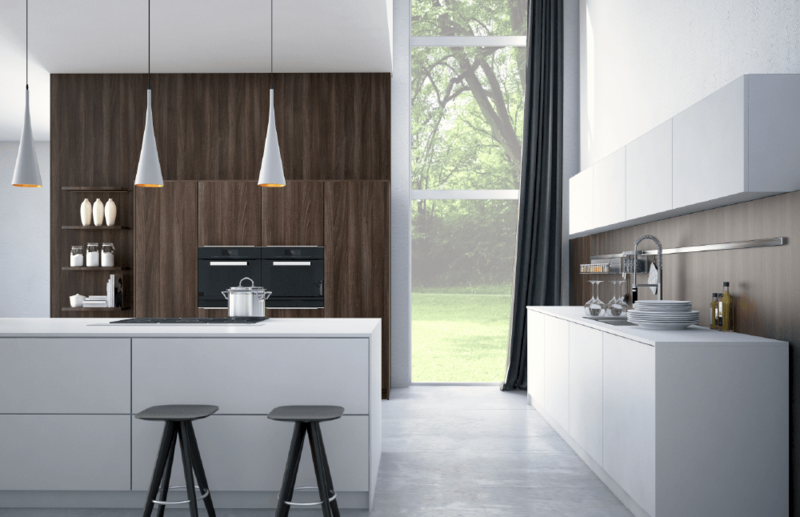 Vauth-Sagel thinks differently, Vauth-Sagel rethinks the corner: CORNERSTONE – the new corner cabinet solution from Vauth-Sagel.